We all faced a situation where we cannot clean window blinds on our own. If you are searching for blind cleaning service provider in your area then Toms Curtain Cleaning Services is the stop for you. 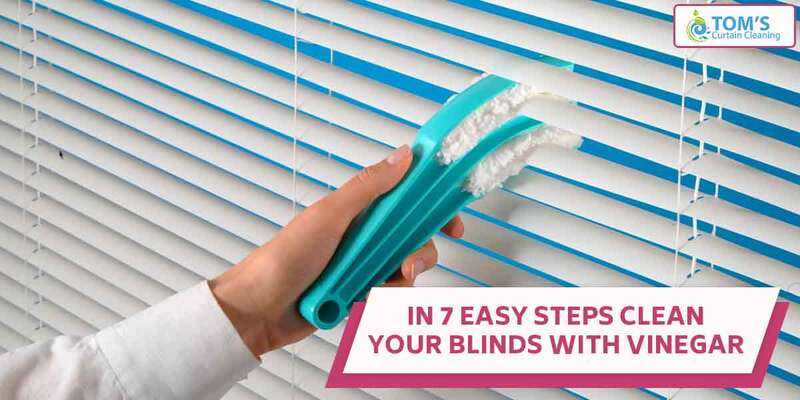 Ask for their blind cleaning Melbourne service to clean your blinds. In the meanwhile, one should always take proper care of window blinds by cleaning and maintaining it. Will you like it if your guests find dirt on your blinds? Some blinds tend to turn yellow because of the harmful UV rays. Even if the blinds have a protective coating, no one can protect it from discolouration. To avoid the window blinds from turning yellow, you have to provide proper care. They slowly turn yellow over a period of time. Indoor pollution such as cigarette smoke and grime is also one of the factors which stain the window blinds. Dry blind cleaning technique is a popular method used these days to clean window blinds. Even if you do regular dusting, still it is going to accommodate dirt particles. As per the research, vinegar has proved to be our best friend when it comes to clean your blinds. Vinegar will not only clean all the blinds but also remove dirt and kill germs. It is the ultimate solution as well as eco-friendly for cleaning purposes. If you don’t get time to clean the blinds at your home then you can contact Dry Blind Cleaning centre in your area. First, grab a couple of soft sponge or old socks and fill a large bowl with an equal quantity of warm water and vinegar. It is up to you to keep the blinds hanging or to remove them from the windows. You can grab sponge in your hand. Soak the sponge in the mixture of water and vinegar. Remove the excess liquid from the sponge or else it will turn messier. Now start wiping each slat from one end to the other without leaving any corner. Rinse the sponge in the bowl after cleaning each slat to make the task bit cleaner and easier. You can remove the hard debris by soaking the washcloth in the bowl and rubbing gently. If the slate is clean, then use a dry sponge or a soft cloth to wipe it. Continue to follow the same procedure with every blind. If you have taken slats out of the window, then make sure not to bend them. Hang them back in their appropriate places after drying. Now you have your very own DIY dirt buster for your home window blinds. To get further guidance and a free quote for a professional curtain cleaning session call Toms Curtain Cleaning Melbourne service provider on 1300 068 194.